Give your pet the fresh and clean treatment! Treat your pet to a day at the spa! As much as we love our pets, let’s face it—sometimes they could smell or look better. And while a relaxing hot shower or bath may be one of our (human) favorite times of the day, that isn’t always the case with our furry friends. 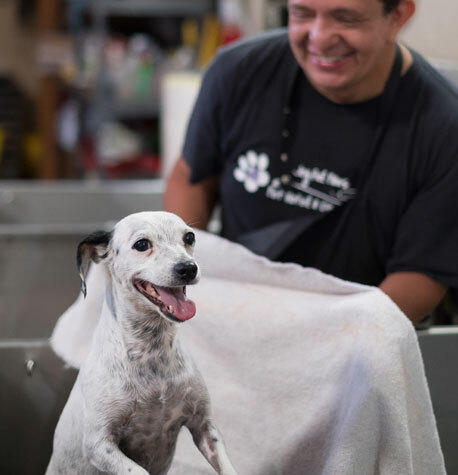 Our professional staff is here to make the bathing process as fun and stress-free as possible for furry companions. 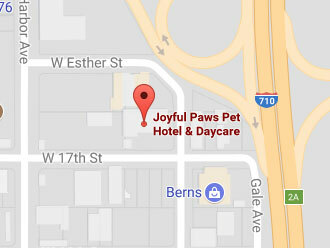 Whether a pet is here with us at Joyful Paws Hotel for one day or a week, they will return home smelling clean and sweet with our enhanced dog bathing options. Bathing as low as $30 a dog! Regular bathing is an important part of our pet’s health. Dogs benefit from regular coat care. It’s never a good idea to bathe a dog with human grade shampoo, as dogs have specific needs. A good cleansing bath with a quality dog shampoo will work wonders and will make him more enjoyable to be around as well! Don’t wait until your pup has rolled in something gross to give him a bath! Dogs come into contact with all sorts of things that may irritate their skin. Pollen, dirt, bacteria, and everyday debris can get caught in their fur, which can leave it matted or just plain dirty. A cleansing bath is a good time to get rid of loose fur, soothe irritated skin, and remove allergens and dirt from their coat. Rubbing the shampoo into a dogs’ coat also stimulates their skin, like a doggy massage! 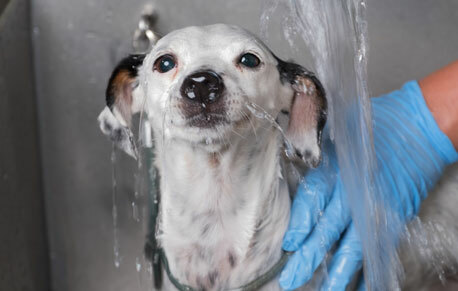 Bathing your dog isn’t just about getting him clean. While each dogs’ needs are different, regular baths are an opportunity to pick up on any health conditions that might otherwise be missed. Don't Forget Cats Benefit from Baths Too! 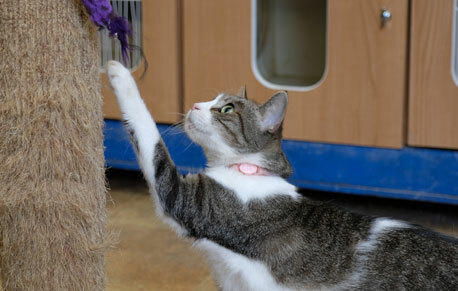 While cats generally enjoy being bathed less than dogs, that doesn’t make bathing any less beneficial. While cats regularly groom and clean themselves, the occasional human administered bath is good for kitty health as well. It rids their coat of excess oils and bacteria, flushes out old fur that they would otherwise swallow (hairballs anyone?) and provides the opportunity to detect any unusual skin conditions or lumps. Cooling Herbal Mint – Cools and rejuvenates the skin and coat. Great for hot spots!